Looking to protect your business? 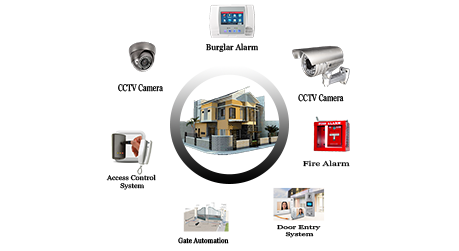 Without regular maintenance your security systems may malfunction and you may need servicing. Having security systems maintenance contract will not only keep your system up and running to its fullest potential but it can also prolong the life of your security systems. Here you will find 5 reasons why it is useful to have a maintenance contract for your security systems. 1. Saving your money – No surprises! When you are working to a budget it’s important that you aren’t faced with any unexpected costs. Having a maintenance contract mean that all costs are determined in advance allowing you to budget accurately and maintain control over your expenses. With no service maintenance contract in place you may find it difficult to arrange quick repair of your security systems. Having a maintenance contract means that not only can you place a service call as soon as you notice an issue but contract customers are more likely to receive dispatch priority. Having a maintenance contact for your security systems with a company who maintains your security systems mean you are more likely to establish a good working relationship with them. With a maintenance contract you can prevent costly downtime problems before they even happen! Preventative maintenance visits involve cleaning, testing and checking your security systems to see if it is running at its fullest potential. This means any impending issues can be recognized early and taken care of before it turns in to a more serious problem. Within a service contract for your systems, you will receive free telephone support whenever you need it. This includes advice on how to get the most out of your security systems.